Do you ever wake up feeling as if your joints are stiff or tight? Do they ache as you get moving in the morning, becoming less painful as the day goes on? If so, this may be a sign of early-onset arthritis. This is a common ailment that many people experience, but choose to live with their painful joints for far too long before seeking help. Arthritis can be managed with the help of our physical therapist. We will assess if exercises will be beneficial in providing pain relief for your arthritis during everyday activities, and help you prevent injuring yourself in the future. Your physical therapist will also help you increase your range of motion in your arthritic joints. If you are suffering from arthritis, or you think you may be experiencing arthritic symptoms, contact our office today to schedule a consultation. According to the Arthritis Foundation, arthritis affects over 50 million people and it is currently the leading cause of disability across the nation. Arthritis causes pain and inflammation, and it can affect one or multiple joints at once. The most common form of arthritis is osteoarthritis. This is caused when the cartilage around the joints wears down, either due to age or overuse. This causes pain in the joint, as the cartilage is no longer acting as the thick cushion that it once was. Without a cushion, the bones grind together, which in turn can cause the joint to become stiff and achy. Rheumatoid arthritis, also referred to as “inflammatory arthritis,” is also fairly common. It is an autoimmune disease that can affect the joints on both sides of the body, and it is typically more prevalent in females than males. Those suffering from arthritis typically report sore or stiff muscles when they wake up in the morning, but the discomfort tends to fade throughout the day. You may notice popping or clicking sounds in the affected joint(s) when you move it, and the joint may be sensitive or painful to the touch. Arthritis can also cause pain when you exercise or work, and the pain may go away after you stop doing that activity. As the most commonly experienced form of arthritis, osteoarthritis is typically easy to diagnosis. It can be caused by a sudden injury to the joint, or it can develop even if a previous injury has fully healed. For example, let’s say you were a football player in college who experienced a harsh blow to the knee. You seek treatment, recover, and return to the game. Although the injury healed in its entirety, it is still possible for you to develop osteoarthritis from it later in life. The same is true for labor-intensive careers. If you are a carpenter who swings a hammer in repetitive motions as a crucial part of the job, you may develop osteoarthritis in the joints of your elbows or hands. If you are overweight, you may also be at a higher risk for developing osteoarthritis, as additional strain is being put on your knee and hip joints. Rheumatoid arthritis is not as easily understood. It develops as an autoimmune response, meaning that the immune system sees the joints as a threat and decides to attack them. Researchers have come to believe that your medical history, environment, and hormones could all be contributing factors toward the development of rheumatoid arthritis. Because it is an autoimmune condition, it is common for it to affect the same joints on different sides of the body. How will physical therapy treatments help my arthritis? According to WebMD, those suffering from arthritic pains can greatly benefit from physical therapy. Your physical therapist will conduct a physical evaluation to determine what the best course of treatment will be for you. This may include weight management to help ease some stress on your joints, as well as posture improvement to relieve stiffness and prevent injury. 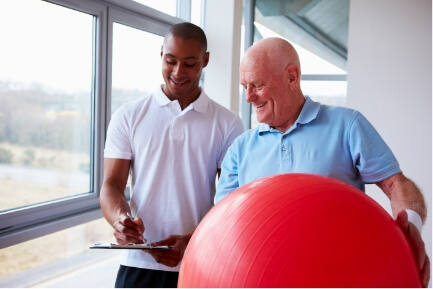 Your physical therapist will also provide specific techniques for alleviating pain, which may include thermal therapies, manual therapy, or ultrasound. Physical therapy treatments are aimed at relieving pain and reducing the amount of stress and stiffness surrounding your joints. If you are experiencing arthritic symptoms and you are looking to find relief, contact our office today! The dedicated physical therapists at Partners in Physical Therapy will be happy to help you.